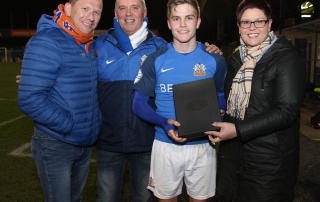 Josh Daniels won the Player of the Month Award for September for some great performances including that stunning winner against Crusaders. 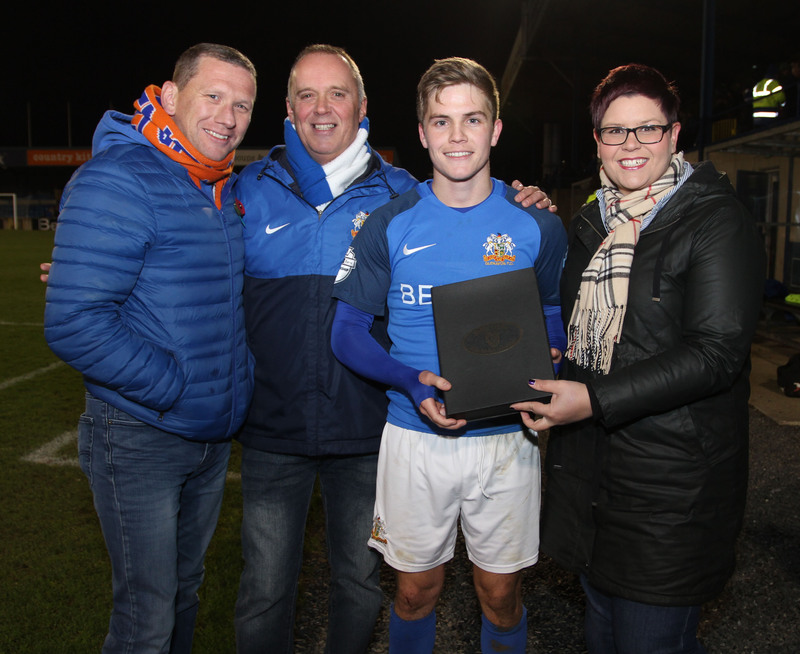 Claire Hall presents Josh Daniels with the September POM Trophy on behalf of the Triangle GSC which sponsors the award. Also pictured are Peter Marks and Ian Hall. Photo by Brian Bain.